Profiles using names like Kristen and Brad had an easier time booking accommodation than profiles using names like Tamika and Jamal. A MAJOR NEW study has found that people with names that suggest they are African-American are discriminated against on room sharing site AirBnb. Conducted by researchers at Harvard Business School in the United States, the work entitled Racial Discrimination in the Sharing Economy: Evidence from a Field Experiment involved around 6,400 messages being sent to potential hosts. The study claims that in its field experiment, guests with distinctively African-American sounding names are roughly 16% less likely to be accepted as guests than identical guests with obviously white sounding names. It notes that this difference exists regardless of whether the host is African American or white, male or female, or if the property is cheap or expensive. Examples of white sounding names included Kristen and Brad, while African-American sounding names included Tamika and Jamal. 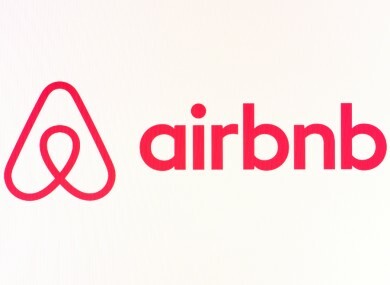 In a statement, an AirBnB spokesperson has said that it faces “significant challenges” and that it was in touch with the authors of the study and aimed at tackling any difficulties. We are committed to making Airbnb one of the most open, trusted, diverse, transparent communities in the world. The research was conducted by making requests to rent out rooms or houses in five US cities. These were identical except for the names used by the profiles applying. Identified in the study is that a lack of anonymity for the individual applying and a need for individuals to provide more information about themselves may have created the problem – and that the same issue does not exist within the traditional hotel booking system. In its conclusions, it is suggested that the company could allow users to use pseudonyms and automatic salutations, in a style similar to that used by eBay. It would seem that hosts turning away business on the strength of a name lose out financially, with only 35% of them able to find a replacement booking. Email “People with black-sounding names have a harder time finding rooms on AirBnB, research shows ”. Feedback on “People with black-sounding names have a harder time finding rooms on AirBnB, research shows ”.